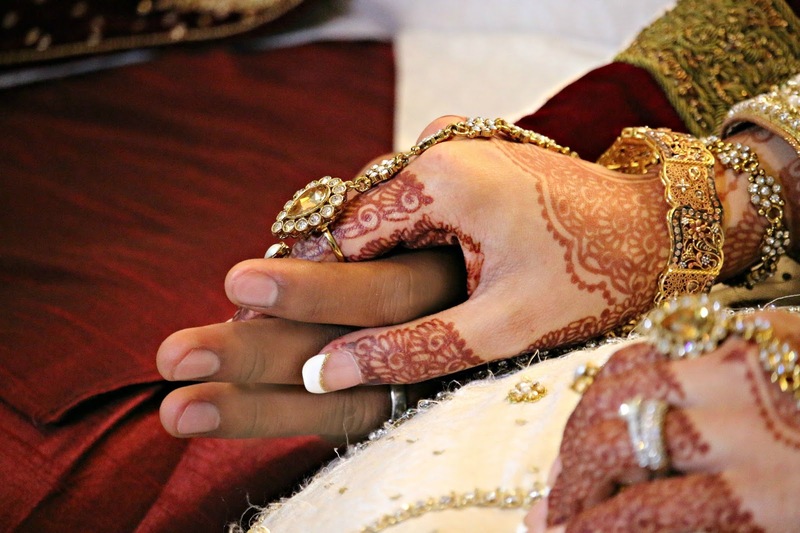 This post is just a little guide from my experiences and planning to help you guys who are planning your own wedding, or a friends or relatives as I know there isn't much guidance online about how to plan an asian wedding, and it can be tricky where to start. You don't have to follow each step, and don't have to follow it in order but it really helped me to make most of the wedding festivities go smoothly, so I hope it helps you all too!! 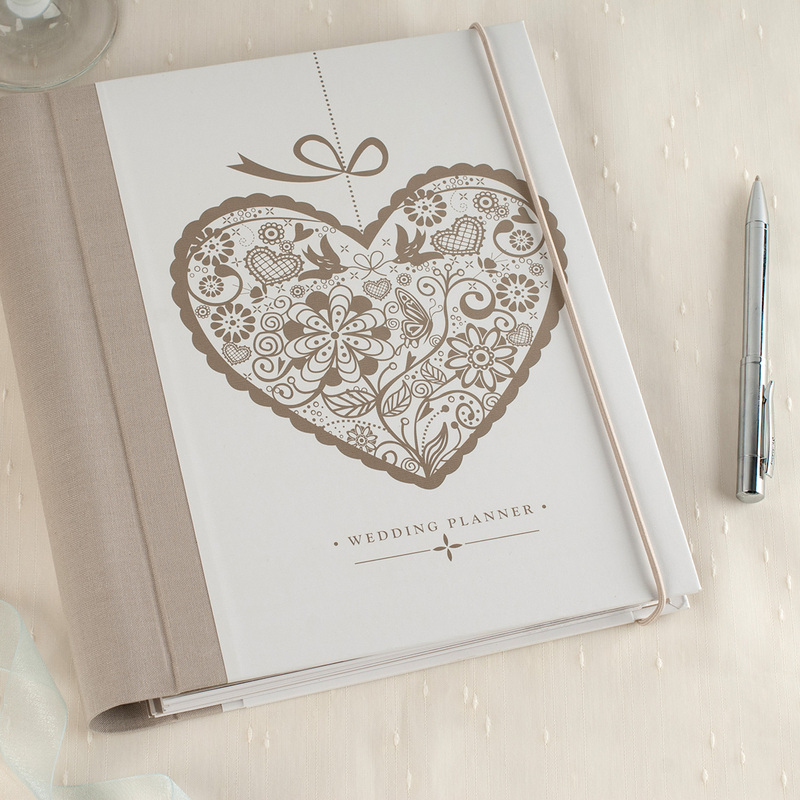 The first thing that I decided to get to keep me more organised was a wedding planner. Now the reason that this is optional is because some people don't find it very helpful, however I always like to prepare notes and scribble down ideas and just keep everything together in one place. So I started filling in all the required information to help me gain some direction about where I was headed. 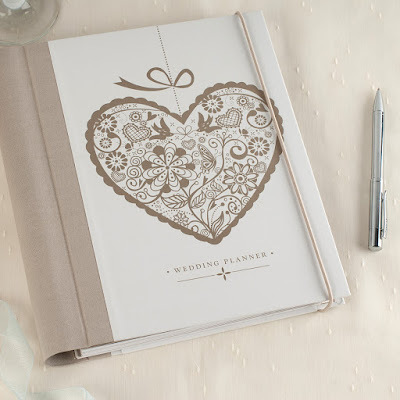 Although it had some sections which don't really relate to an Asian/Pakistani wedding, and are of no use for our weddings, most of it was quite useful, and it also had blank note pages where I would write out all my ideas and things that I wanted etc; as well as have clear plastic pockets to put little bits in. I used mine to put all the payment envelopes into so I could be organised when making payments to everyone, and I started filling up months before so financially I would be prepared as you all know weddings are SUPER expensive!! If you skipped the first step, then this will be the first step of wedding preparation for you. Obviously before doing anything for your wedding, or booking a venue, caterers etc; you are going to need to make up a guest list so that you know how many guests you will be inviting, how big of a venue you need and whether your budget will allow you to cater for all those things. 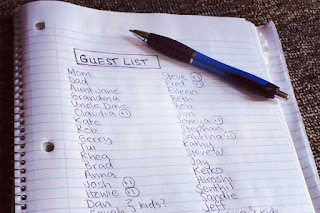 I first started off by sitting down with my family and making a rough guest list on a scrap piece of paper, and went through it a few times, and then typed it out onto a spreadsheet document which worked out amazing, as I could add and subtract to this accordingly. We had about 400/450 people if we didn't have to minimise it down, but our final figure was about 300 which still seemed like a whole load of people but if you're a fellow Asian then you know the deal. 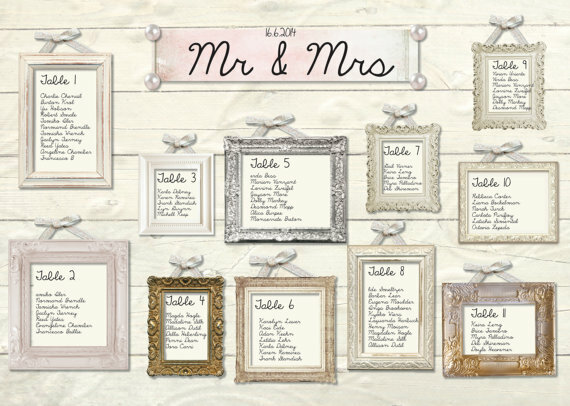 I personally wanted to keep everything organised so decided on making a seating plan for the day (which by the way was the most stressful part of the planning process). I added an extra sheet to my spreadsheet for the table seating plan and had to make adjustments over and over again. So now that the guest list was done and I knew I had around 300 guests for the wedding day, I knew what size venue I needed and thus began a stressful hunt for the PERFECT venue. Venue Hunting can be the most difficult task ever if you've already imagined how you want your book day to be. I'm sure every girl has a rough idea about how she wants her wedding to be, but all in all being practical at the same time. Before booking my dream venue, I went through looking at nearly every wedding venue you can imagine in and around London, only to have changed my mind 3 times. I even booked one and took my deposit back once I found something better. 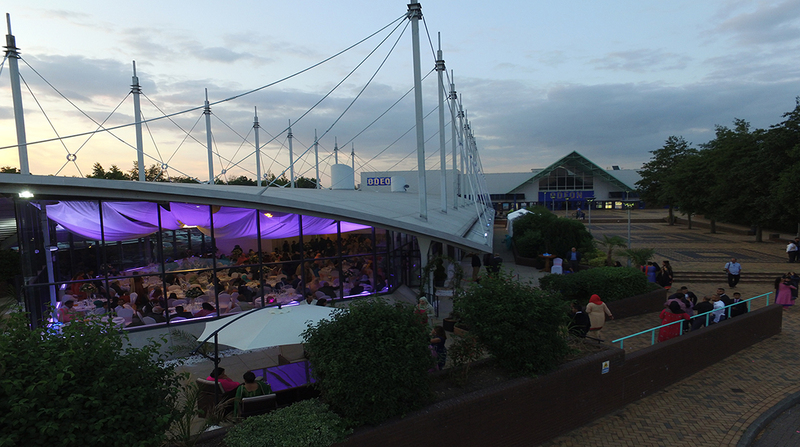 So my first choice was a brand new venue at the time called 'The Willows' which is based in Ilford. I personally wanted something nice on the inside, but also nice on the outside as your guest impression starts from the outside, and also you want it to be a safe area and environment for your guests, and Willows seemed the best to me at the time, however their charges didn't seem worth the final look and it still wasn't 100% for me even though I liked it. 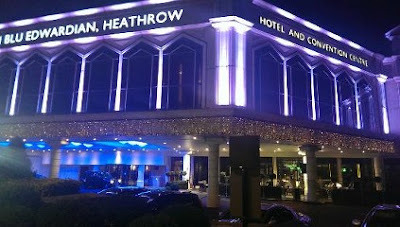 So the search continued, until one day I was driving to my uncles along the A406 and spotted Meridian Grand. I booked a viewing immediately despite it being under construction, and had a few viewings before it was made, till the final finish. It was such a beautiful venue, with dream like qualities, luxurious finishes, a lovely Juliet style balcony and I even got to the stage of booking the venue by paying for the deposit, and having a food tasting but my dad didn't seem happy. He had a few concerns and said he's only going ahead with it for my happiness but the venue wasn't doing it for him or my mum; upon which I asked why, they said the surroundings outside weren't that amazing, and if there was another function on the day we'd have to share the car park and the mingling area, and that the venue for 300 people was quite cramped and congested, they didn't really like the food either and a few other reasonings that they had which made me ponder upon it too. Even if you book both halls on one day, you avoid sharing the front, but the guests on the smaller side don't get to see much of the other side, and I didn't want to leave my guests not being able to see or feel like they aren't apart of the big day. Even though it was pretty, it wasn't what I was looking for and my parents opinion matters more!! 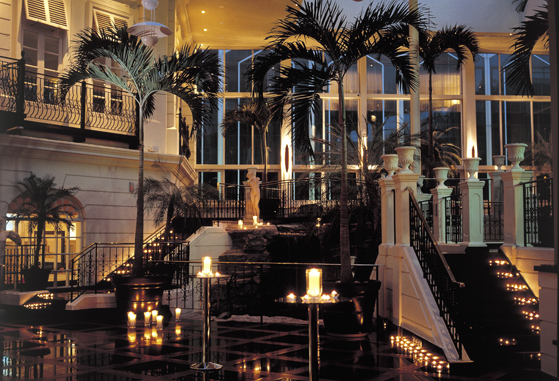 The following weekend I had an event at another venue which was a hotel, and after attending this venue I couldn't stop thinking about the beauty inside and just how it felt right for me. I had a talk with my family and my cousin who said would you rather just attend the venue and get married or would you rather have a destination like wedding in a hotel with all your family staying together over the course of a few days. His exact words were, would you rather pick a luxurious building or a family experience - Thats all it took and I had to cancel my booking. I mean don't get me wrong; Meridian was a beautiful venue, and I still love it but it just wasn't cut out for me. Thus, moving on to my wedding venue which I picked; Radisson Blu Edwardian Hotel. For me this was it, this was the venue I dreamt of. Perfect destination feel, valuable time with my family from abroad and near, more time for memories, BEAUTIFUL interiors and finishes. The waterfall and the bridge over the water was just stunning for me, the breakfast with everyone, the late night with my cousins and bridesmaids, safe environment, wedding in the same place, just EVERYTHING. And weirdly enough the in-house event planner/caterer turned out to be my dad's friend so it worked out great. We easily found our caterer as well alongside the venue which was another headache avoided. But if you don't get lucky to find an in-house caterer make sure you do your research, go for lots of food tasting, and make sure the prices are reasonable with a lot included. A lot of people try to include hidden charges, or don't add everything within a package. And don't forget your guests only really care about the food after how the bride looks, and whether or not they found convenient parking. And for the Walima, my hubsy picked such a gorgeous venue. It's brand new, and just so happens to be behind Meridian Grand, and I swear to you guys it is so underrated - It has so much potential, and is the next big venue believe me. It is beautiful on the outside and the inside. Has golf course grounds all around for pictures, stunning starlight ceiling indoors, lots of space, gorgeous bridal suite and the unique feature it has is that its shaped like a ship. So tell your photographer to pull out those drones. Seriously though Hubsy did me proud, and it's a gorgeous place to get married!! I also included RSVP cards with envelopes so people could get back to me in time so I can prepare my seating plan which is written out further below in this post. Once again, asian people don't understand the concept of what rsvp cards are, and they still don't want to let you know. Then they want to bring extra people as well. (Despite me also including number of invitees in the actual card) SIGH. For our cards, I wanted to keep it simple and elegant, like I prefer most of my stuff to be, but I wanted the whole wedding theme to just be elegant more than anything as you can't go wrong, however I wanted the card to still be a little personal to us so I customised it with a picture of our hands - And all of our family and guests absolutely loved the cards. Alhamdullilah some people said it was the best invite they've had. You can make a statement and be classy without spending lots of insane money as people do on weddings, because lets face it, after the wedding, the invitations either go in the bin or in a drawer to gather dust. So venue and catering was done for me, and invitations were posted out, so I knew what was next. I needed to book a hair and make up artist for all of my functions, which was 3 consecutive days, and you need to book way in advance, especially for the peak season which is in August. I feel like everyone decided to get married this August!! I knew who I wanted to book for my wedding, but unfortunately some of the people were already booked, and the ones who were booked could only do 1 of the days, so I had to have different people for all of my functions - I'm not gonna lie this was risky as I had no trials, and I didn't know how it would turn out but I think it turned out pretty amazing as I got different techniques, different talented people all creating unique looks to go with my themes. Yes, I had themes for all the days and even created a website for the family so they could all be in the loop with all the required information. Next was the wedding day which was done by the ever so talented Lubna Rafiq who has made a name for herself for obvious reasons. I actually had her booked for walima but because of all the venue changes and date changes she ended up being booked for the wedding day itself which turned out amazing, as I wanted the traditional yet modern and vintage fusion for the theme. (And once again below you can see the magic created by her) - Jewellery by Lotus London and outfit by Mehdi Couture which I will discuss in detail further in this post. Lastly was the Walima day which I booked my beautiful and amazing friend Zukreat for and my hair was done by Maariyah Hairstylist, and again here is a picture of the magic created. Honestly guys talking from experience, hair and makeup is everything on the day, and you need to book someone you trust, because it's extremely vital that you are comfortable in the looks created on you for your functions. You don't want to look and feel like someone you're not! And most importantly that's how you're going to look in your wedding photography and video - So make it worth it!! So now that the venue and catering was done for me, and I was content that I had the perfect hair and makeup team booked for myself, the next step was to sort out the decor for all of my functions. I roughly knew what I wanted as I had arranged the themes for all the functions, but I also didn't want to spend obscene amounts of money on just decor that would last a few hours each day - And I also didn't want the cliche decor shown on Instagram pages with crazy amounts of floral which isn't really practical. After doing a lot of research, I stumbled across a decor company called AR Signatures based on Green Street; thanks to the hubsy who was also booking them for the Walima. They were so understanding and were prepared to listen to my ideas, whilst giving me their opinions and expertise in which we came up with the perfect ideas for all 3 days. The hubby was also sweet enough to let me choose everything for the Walima day. Honestly they were such a trustworthy company, as they did what they could even on the day to change around anything that wasn't working and everything turned out beautiful. However, for my floral bouquets to go into the centre pieces, and my bridal bouquet, and my little flower girls bouquets I outsourced from a company called ZansOccasions on Instagram. Funny story we met a couple years back and before knowing when the wedding would be or anything was fixed I told her I would get my bouquet from her, and I am so glad I did because throughout the whole process she kept me updated and would send me pictures and videos to make sure I like how things are shaping along. Even with the bouquets for the centre pieces, they turned out so beautiful that we kept them for memories and distributed them out amongst family for keepsake memories. I have also attached a picture below of my bouquet from the wedding day, and would recommend you guys order yours from there and any other floral decor you may need. Okay so I literally cannot stress enough about how IMPORTANT the photography and cinematography is!! It is the only thing a part from your husband that will stay with you after the wedding festivities are all over lol! And because I didn't wanna pay obscene amounts of money I just went and booked the most reasonably priced one (My MISTAKE) I already paid deposit too.. Gosh I don't learn do I? I did the same when booking the wedding venue. Nonetheless on my consultation with AR Signatures for my decor, they told me they had a photographer whose company was called Samis Studio! And at the time I wanted to cry because I had already paid a huge amount for a deposit with the other company, and along the process I found out how rude and unprofessional the other company was - But that wasn't the bad part, the bad part was I was so impressed with Sami's work, I instantly fell in love with the work and knew there and then what a big mistake I made and wanted him and his team to handle all the functions of our wedding!! So after a whole load of drama and craziness with the other company, I finally booked Sami who had other enquiries for the dates but nobody confirmed with a deposit so I made sure I did! I literally didn't even care at the point whether or not I'd get my money back from the other place. Okay okay.. At this point I know what some of you are thinking.. She's absolutely crazy!! Why are her outfits number 8 and why has she booked everything else first. It's simple.. The outfits for me weren't too much of a big deal, because I roughly already knew what I wanted to go with my themes, and for me it wasn't that important - Having my loved ones fly in and be there with me was the most important - Especially my cousins <3 They mean the world to me! Besides you only really wear the outfits once and then it's pretty pointless after that. Mine are packed away already. So all my outfits were designed and chosen by me. 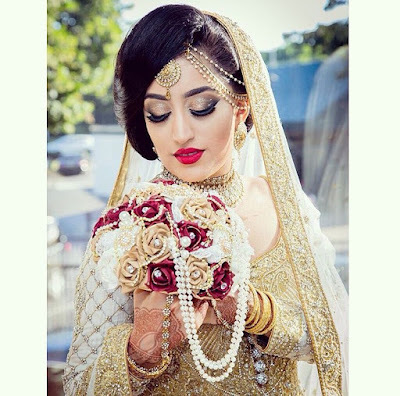 The Mehndi outfit was simple for me - I knew I wanted to go traditional for the mehndi as nobody in my family has really gone traditional, and I also wasn't going to be a traditional bride on my wedding day who wears red - So I thought it was only fair to keep one day the traditional way. The theme was to be bright and colourful and co-ordinated at the same time, so as I decided to wear like a turmeric (haldi) colour yellow, and a bottle green dupatta - I told my cousins and family members to wear bottle green. The men white shalwar kameez with green dupattas (scarves). My bridesmaids on the other hand wore hot pink lehenga's made by the lovely Iman Boutique. Its nice to keep it bright and colourful yet be comfy so you can dance around and actually enjoy your function. Funny enough, I didn't get my wedding outfit done till pretty late, I didn't really like anything that was ready made in the shops and it just wasn't me, so during my trip to Pakistan for my cousins wedding - I coincidentally went with her for her bridal fitting and ended up getting my outfit designed and ordered myself by Mehdi Couture. He was so lovely - He listened to me, and just knew what vision I had in my head, and without us even doing a sketch on the consultation he just made my vision come to life. I wanted it to have that princess touch, yet a hint of a vintage look but to some extent somewhat traditional too - And combined with the makeup, hair and jewellery it just worked. Honestly fellow Asians, if you just so happen to take a trip to South Asia, just get an outfit made to measure and designed out there - Especially Pakistan that has such amazing designers! Lastly was my Walima dress - A lot of people go for pastel shades on their walima, but because I wore the lightest shade possible for my wedding day, I wanted to try something completely different and not very common. 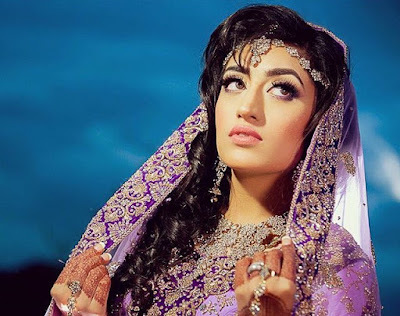 My walima outfit was from Ilford lane - And the outfit was already there, however I had to make a few changes to make it personal and make it comfortable. I prefer sleeves and wanted a bigger trail so we changed it around a bit. All in all the best advice I can give to you guys is please make sure you purchase something that is beautiful, and that you think is YOU - But the most vital element of your outfit picking is that you ensure the outfit is comfortable - I am honestly speaking from experience and do not want any of you to have to be uncomfortable. It's not just the outfits that need to be comfortable, but also the shoes!! I had to take mine off on the walima, and thankfully nobody realised I changed into my loafers LOL! (I can be so savage sometimes but I don't care) Seriously just be comfortable more than anything!! And for the cake.. Well this was another hunt, but once again Soyfur from AR Signature was a saviour again, and recommended me to take a look at a company called Jus Cakes based in Bethnal Green. I booked a consultation with Kamal and went with my parents, we had one consultation and one food tasting and once again we trusted Kamal to just design something to our preference and he did just that. Alhamdullilah despite the stressful moments and the little hiccups planning the wedding, I have to admit I did pretty much get lucky 90% with the suppliers, and they have literally become like family to me! I was blown away with the wedding cake they made. It was simple and elegant yet made a statement and went perfectly with our theme. In addition to that, I wanted to have little extras for the wedding to ensure it had cute little elements and things for the guests to do, as it can get pretty boring if you’re just a guests attending and eating and leaving. I booked a gol gappa cart with an upcoming business called Chocolate.Empire on Instagram and they turned out to be absolutely lovely. The cart turned out to be a huge success. Not only was the actual gol gappas absolutely delicious but the presentation was so authentic and classy. Alongside that I also got a popcorn cart for the youngsters to have something to nibble on until dinner was served. Sadia you've done wonders! And also a huge thank you to Retro Signs who sent me a photo frame - Photo frames are just that little extra bit of cuteness to take pictures with to let your guests feel involved. For the wedding day, I booked a Photo Booth for all the family and the guests to savour some of their own memories as the professional photos can always take some time, plus with the props provided it turned out to be a lot of fun for everyone - In fact we were quite surprised at how utilised it was! We also had a sweet cart for the wedding day, unfortunately my sweet cart got cancelled only a couple days before but I was grateful to the new company Sweet Lounge who booked me just 2 days before the event and also turned out cheaper and threw in a lot of extras. I guess it’s true when they say everything happens for the best. They were absolutely amazing!! And leaving the best till last, my brother Mumzy Stranger performed not just for the guests like everyone does, but he sang for me as my entrance song, and how amazing his new single literally came out just before the wedding! No better way to walk in with your biological brother and your heartfelt brother singing whilst you walk down the isle. You guys have to listen to his new single.. Listen carefully to the lyrics and you'll realise how beautiful it is. I don't know what possessed me when I decided that I wanted to make a seating plan for the wedding day - it has been the most hardest part yet. It actually took me a few months to arrange the seats and decide who will sit where. It can get pretty tricky at Asian weddings, you don't want the wrong aunty sitting next to the wrong aunty - You know they can get their gossip on LOL! I changed, rearranged, replaced and did whatever I could several times. I thought I succeeded at least 5 times and was over the moon when I thought it was completed, but alas someone said they weren't coming or somebody asked if they could bring an additional person (even though we had number of invites on the invitation!). Then my cousin was sweet enough to print out the final seating plan for the wedding day with the assigned table and table number - with a place card. And my other cousin wrote out the place cards a day before the wedding, as I had mehndi put onto my hands. Hand on heart, its your family that MAKE the wedding !! 11) The last minute preparations..
A few days left till the wedding and you have to do the last minute preparations, such as decorating the mehndi taals, and filling in the bid boxes. My bid boxes came with my invitations and were matching to go with them, and we filled them up with chocolates, nuts and a personalised chocolate from Sweeties UK. They were also sweet enough to give me sweet shaped boxes at such short notice as extra favours for the mehndi. And thankfully and coincidentally they matched perfectly with the Mehndi theme too. I absolutely loved all the stuff they provided. But the best part about filling up things like the bid boxes are that you get to sit with your whole entire family and prepare together. It's just an excuse to spend time and make memories with everyone. We listened to music, filled the boxes, sang, dance, and spent hours just having fun. And a part from that the few days coming up to the wedding are so stressful, overwhelming, nerve wrecking and just a rollercoaster ride filled with lots of fun things to do. But don't let the emotions get the better of you.. Honestly it flies by way too quick. Be sure to enjoy it! Have fun. Make memories, and you'll be just fine. I pray your wedding diaries is just as beautiful.. And more so I hope this blog post helped some of you out with my experiences - Do leave me a comment and some feedback to let me know what you guys thought. I would really appreciate it! 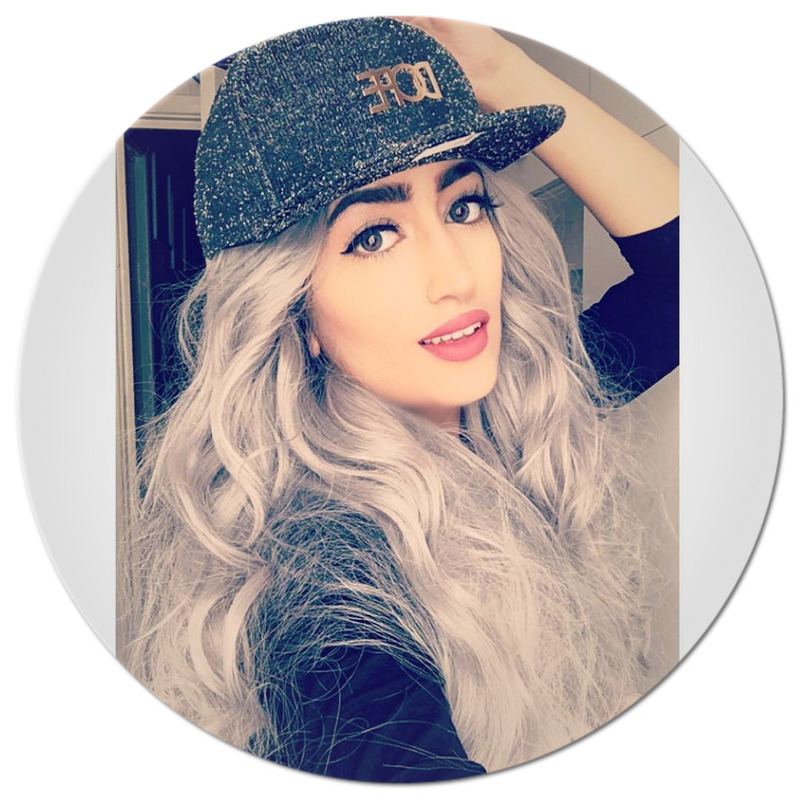 Thank you Ezza for this amazing blog post. I pray you live a life of happiness. I read it all, didn't even skipped it... I was really looking forward to read something like this for my wedding and thanks for advices. Only if its possible could u also mention that how much did u paid for venue, decor and photography etc like not the exact amount but roughly? How To Get Rid Of Acne & Acne Scars FAST!